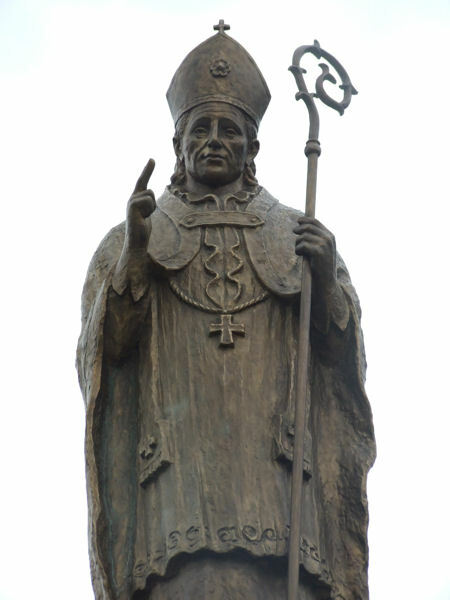 The worship of St. Valentine, the patron of Bieruń, has been associated with Bieruń and neighbouring towns for generations now. 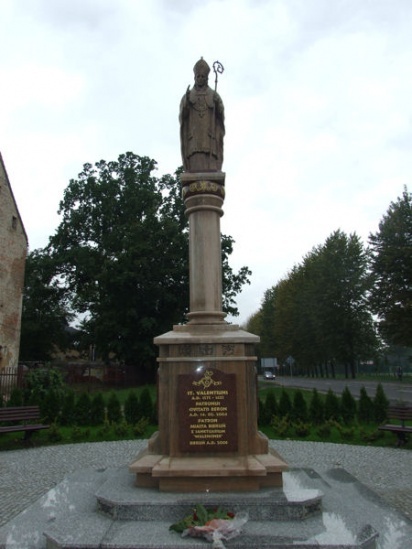 It is connected with a wooden 17th century church of St. Valentine and the memorial erected in his honour. 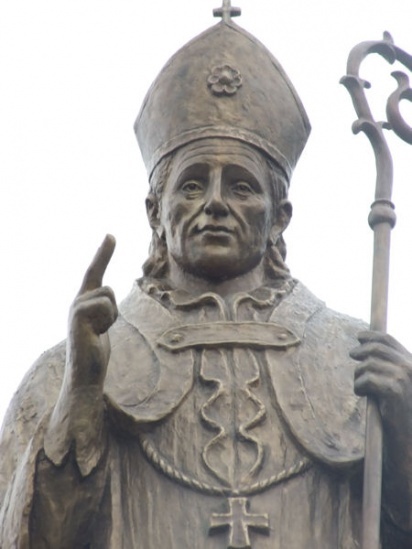 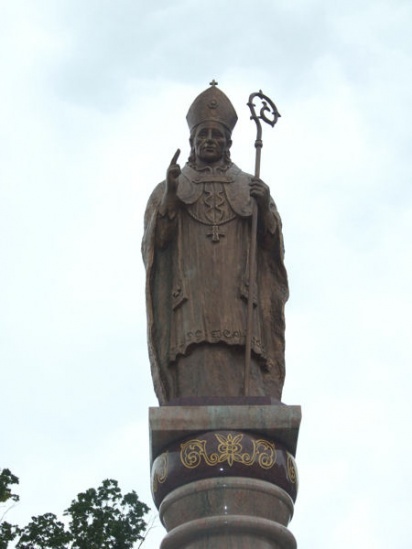 The figure of the holy bishop is made of bronze and has been situated on a granite column plinth. 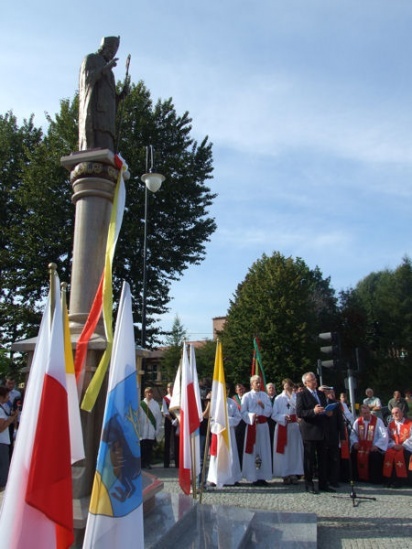 The figure has its right hand raised blessing and inviting young couples to take marriage vows. 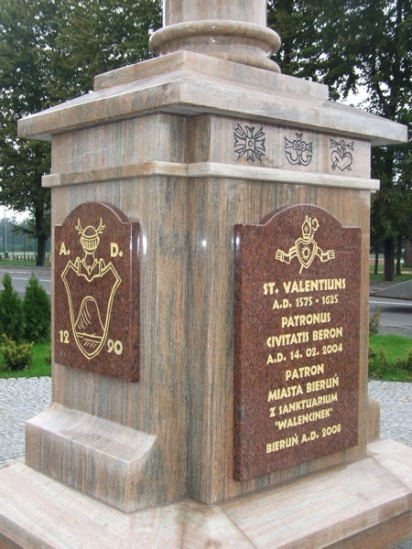 The flowers put on the monument are said to ensure happy love. 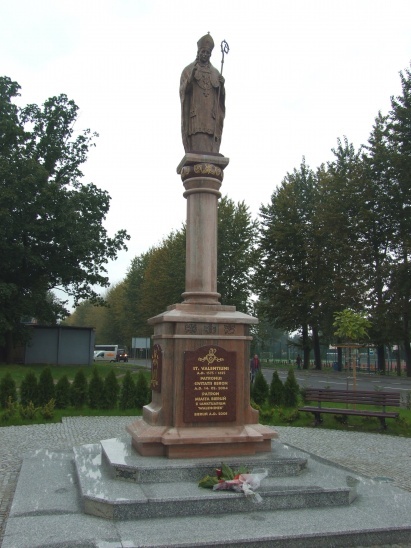 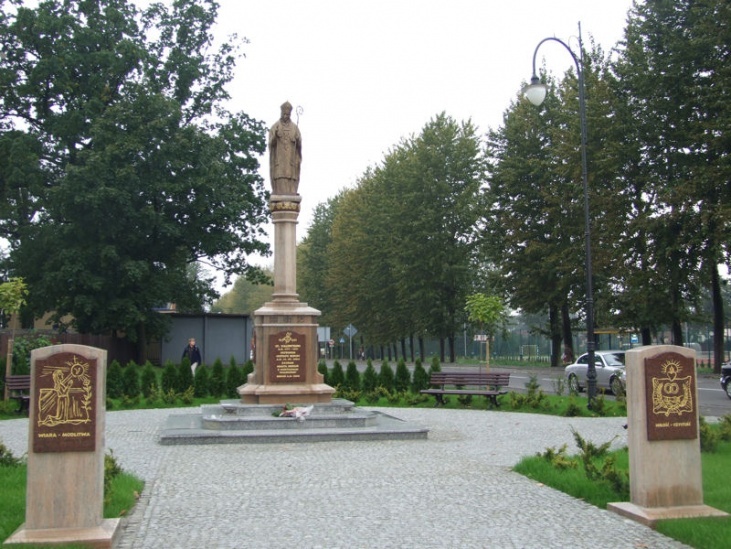 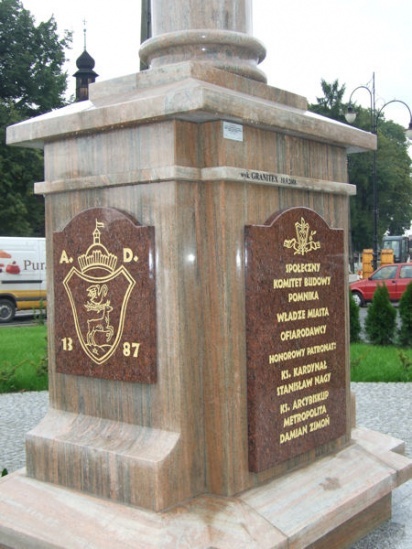 The memorial has been erected thanks to the initiative of the Association of Lovers of 600-year-old Bieruń supported by the town authorities and sponsors. It is the only memorial of St. Valentine in Silesia and even in Poland.